Providing humanitarian assistance amid conflict is a dangerous and difficult endeavour. Over the past decade, violent attacks against aid workers - resulting in killing, kidnapping and serious injury - have tripled, reaching over 100 assaults per year. From 2005 onwards, the largest numbers of security incidents on humanitarian personnel have been concentrated in a limited number of countries representing the most difficult and volatile operating environments. Even as aid workers come under increasing attack, however, they find ways to continue delivering life-saving services and providing protection to people in need. 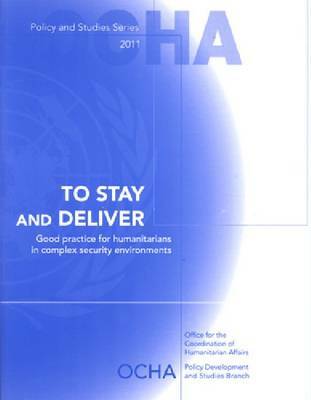 This study documents, across different types of security contexts and risk patterns, a variety of good practices and innovative strategies that enable humanitarians to maintain presence and ensure uninterrupted delivery of services.